If extreme adventures in PA are what you crave, take advantage of any of these fun, pulse-pounding activities. From white water rafting to ziplining to skydiving, find all types of extreme outdoor adventures in PA that all you thrill-seekers are guaranteed to adore! Extreme Rafting Adventures in Pennsylvania! For some serious summer fun, Extreme Adventure Travel Outfitters offers some of the best whitewater rafting on PA's Lehigh River. 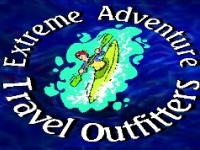 Extreme Adventure is the only rafting company in its area to offer whitewater raft rentals for those with previous rafting experience. Other activities include guided whitewater rafting tours, river tubing, inflatable kayaking, and whitewater kayak instruction. The company offers the smallest, most personal rafting trips in the Lehigh River region, as opposed to making each guest ride with groups of 100 or more. The rafting site is conveniently located, only a short drive from Philadelphia and NYC! Reservations are highly recommended, so call 570-801-1231 and speak to your "adventure specialist" today!